By the end of the course your knowledge and comfort level will have increased, opening up potential dive sites you never knew existed. The Kayak Diver course has a maximum depth of 15m. The two dives will be completed from a ‘sit on’ kayak. This course is no a qualifying kayak handling course. There are many companies near to us that do offer kayak handling courses, if you are interested in such a course, we can point you in the right direction. Open Water Scuba Diver course. Some kayaking experience is recommended but not necessary, an extra day will be added for those without any kayaking experience. One on one tuition is available for those that might prefer it, ask for details. 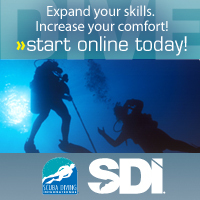 Atlantic Scuba dive school, Cornwall, SDI UK.